Five courses may be slashed and six staff made redundant under a new proposal to reduce the primary industries programme at Timaru’s polytechnic. 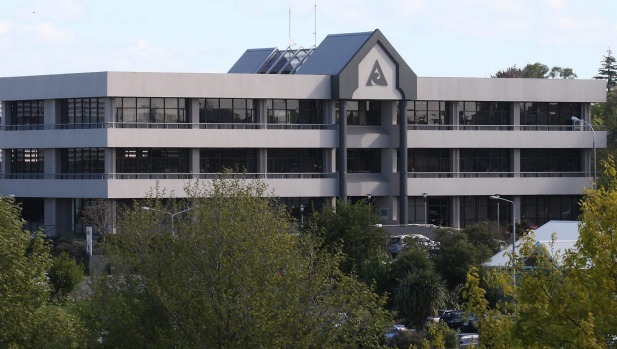 Announcing the news on Wednesday, the Tertiary Education Union (TEU) slammed the Ara Institute of Canterbury proposal, saying it created uncertainty about Ara’s commitment to the region. The polytechnic’s training farm at Washdyke would close if the course cuts went ahead. Ara chief executive Kay Giles was unavailable for comment on Wednesday. Director of corporate services Darren Mitchell said the institution remained “absolutely committed” to tertiary provision in the region. The proposal was a response to a “significant” decline in demand for some low level primary industry courses, he said. It had got to the point where there were just 11 fulltime students across those courses, he said. Ara was looking to reshape its portfolio to better meet the needs of the industry, he said. Senior Ara management staff have made multiple mentions of plans to upgrade the Washdyke training farm during the past year. In November, primary industries head of department Vikki Roadley said a “significant” piece of work was being done around upgrades for Ara’s campuses. That would include South Canterbury campuses, such as the training farm at Washdyke. Equipment such as motorbikes and tractors were being reviewed, as were the buildings, Roadley said. Mitchell said he was unaware of any commitment to upgrading, expanding, or growing the training farm. There had been some investment last year to ensure the facilities met health and safety and teaching standards, he said. According to a consultation document released by the TEU, course numbers for several programmes had been “extremely low”, and had limited employment outcomes. Courses on the chopping block include the New Zealand Certificate in Primary Industry Skills, the New Zealand Certificate in Horticulture, the National Certificate in Goods Service, New Zealand Certificate in Agriculture (Vehicles, Machinery and Infrastructure), and the New Zealand Certificate in Agriculture (Farming Systems). TEU Ara branch president Carol Soal said the union was “extremely disappointed” by the proposal. “Ever since the merger we have been reassured that primary industries education would be a priority for the institution. Even as recently as six weeks ago the chief executive spoke to staff in Timaru about the importance of primary industry provision. The union would be doing everything it could to challenge the proposal and to ensure job losses were kept to a minimum, she said. It would be seeking an urgent meeting with Tertiary Education Minister Paul Goldsmith to discuss the proposal. In an emailed statement, Goldsmith said Ara was an autonomous institution under the Education Act, “so how they arrange their courses is a matter for them”. “I intend to meet regularly with the TEU, I have done so already this year, and I’m sure I will be meeting them again soon. When asked if he was confident in the level of tertiary provision being offered in South Canterbury, he said he was “confident that Ara are performing well and delivering a quality education to students”. Consultation on the proposal will end at the beginning of June, with a decision expected in mid-June.